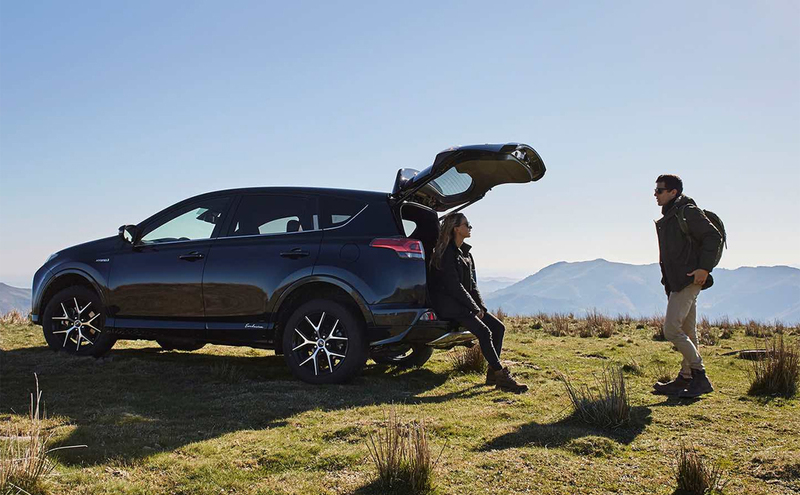 With temperatures rising it’s not just you that needs to top up on the fluids, keep your Toyota RAV4 hydrated by checking and topping up the coolant levels as well as oil, brake, automatic transmission and power steering. At John Roe we can also offer you a free visual safety check for any of those pre-holiday worries. High temperatures can increase the risk of tyre blowouts; therefore it’s important to check your tyre pressure before any journey in the sun. Don’t worry though at John Roe your safety is our priority! We offer expert advice and tyre checks to ensure that nothing is stopping you from getting on your way this summer. We also have a range of summer tyres; specifically designed with a soft compound and less grooves to improve your speed/agility. Music on max, air con full blast... At John Roe our job is to provide you with the most relaxing summer drives. With the weather reaching the temperatures it has we understand the importance of maintaining your AC. For all our vehicles we offer air conditioning service for full maintenance. It’s that time of the year again where you can’t go about your day without a swarm of dead insects splattered across your windscreen. Avoid this by keeping a clear vision this summer by making sure your screen wash is topped up. Unsure? Check out the Toyota website below for some handy videos on simple Toyota Maintenance. One of the main causes of accidents during summer can be due to impaired vision by the sun. Be sure that you are well equipped with your favourite pair of shades to block out the rays. At John Roe we check that your wiper blades are running smoothly through the visual safety check avoiding any uncleanliness. Drive safely & Enjoy yourself! Sit back and enjoy the ride with your favourite summer playlist. Wherever you may be heading, make sure you make the most out of it. More importantly take a leaf out of the new AYGO's book and #JustGo!